At the beginning of the movie Merida is on a trip with her family when her father encounters a bear that tears off his leg. Fast forward a couple of years and Merida now is 16 years old and has a triplet younger brothers who are the darlings of her parents eyes. Her father reminisces about the story of the loss of his leg and what he would do to the bear if he ever saw it again. Merida is now at the age to be betrothed only she does not want to be married or to be a princess. She fights it tooth and nail and even to the point where she embarrasses her parents in front of the other leaders and their sons. Merida runs away and meets a witch in the forest who grants her wish to change her fate. Merida uses the witch’s potion on her mother changing her mother into a bear. Merida does not understand what happened because she simply asked the witch to change her mother’s mind . 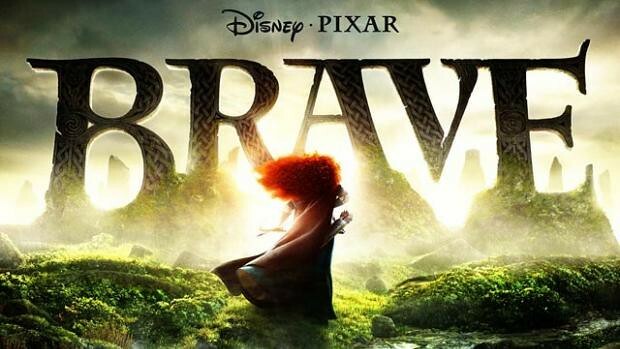 Merida and her mother go to hunt down the witch and find that she has left the cottage where Merida found her. She did leave Merida instruction that if she did not figure out how to fix the spell by the third sunrise the spell would become permanent. I’m going to graciously not spoil the majority of the movie for those who have not seen it. If you have ever seen any Disney movie in your life you can predict what happens in the end. I’ll admit that the movie was much shorter and cleaned up far too nicely for a Disney movie. The graphics in the movie were incredible. As much as I liked watching the movie I do not think that this is a movie that I would own. Sorry Disney and Pixar.